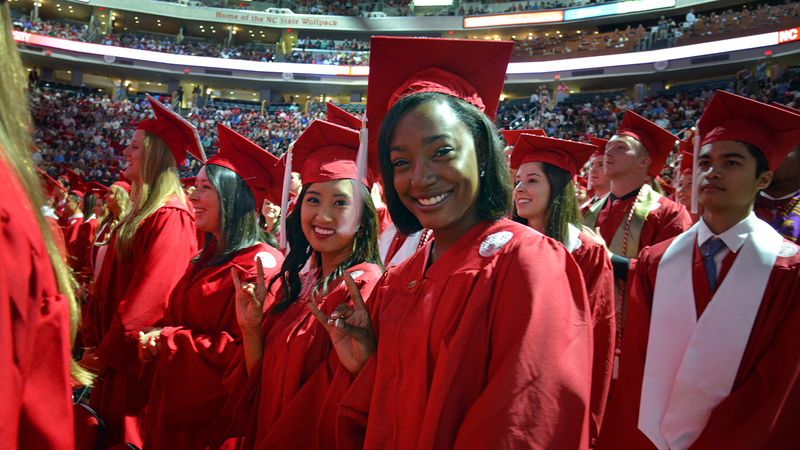 The disparity between graduation rates for white and underrepresented minority students is a challenge for universities throughout the United States, but a new report shows that NC State is making progress in closing this completion gap. The nonprofit Education Trust, which promotes academic achievement for all students at all levels of education, found that NC State was near the top of the list — in North Carolina and nationwide — of schools shrinking the disparity in graduation rates. “We’re justifiably proud of being cited nationally as a university that is closing the completion gap,” Provost Warwick Arden said. The report, titled “Rising Tide: Do College Grad Rate Gains Benefit All Students?” examines the graduation rate changes for 1,309 colleges and universities across the country by averaging the six-year graduation rates in a three-year increment from 2011, 2012 and 2013 and comparing those rates to averages in another three-year increment from 2003, 2004 and 2005. At public universities, overall six-year graduation rates increased from 52.8 percent to 57.7 percent from 2003 to 2013, according to the report. 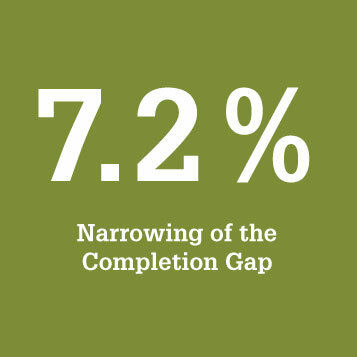 But the completion gap remains formidable. At a subset of public schools that narrowed the completion gap, for example, white student graduation rates are still more than 14 percentage points higher than minority student graduation rates. 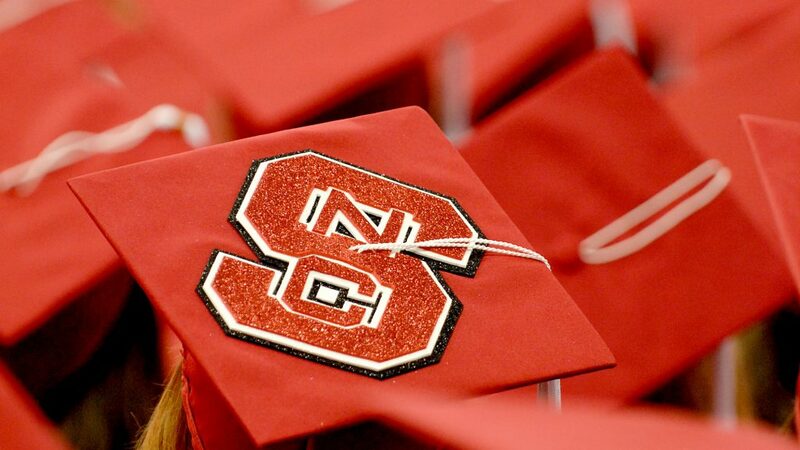 NC State’s six-year graduation rate for white students increased 4.8 percent, to 74.2 percent, over the study period, while the six-year graduation rate for minority students increased 12 percent, to 64 percent, over the same timeframe. That means NC State narrowed the completion gap by 7.2 percentage points. 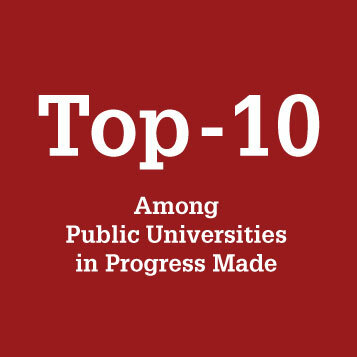 Among North Carolina public universities, NC State and UNC-Wilmington were both cited for improving the completion gap, ranking in the top 10 among public institutions. The University of Nebraska led public universities by reducing its completion gap by 15.2 percent. It’s worth noting that Nebraska’s graduation rates for both white and minority students are lower than NC State’s rates. Arden and Senior Vice Provost for Enrollment Management Louis Hunt say that a variety of factors – many tied to the university’s top strategic priority of ensuring student success – play a role in the ongoing efforts to narrow the completion gap at NC State. Arden and Hunt point to the formation of the Division of Academic and Student Affairs and the success of a number of diversity programs and academic initiatives. The Office of Institutional Equity and Diversity and its Office of Multicultural Student Affairs, which promotes the pursuit of academic success, retention and graduation of students, with an emphasis on African-American, Native American and Hispanic/Latino students — the very students affected by the completion gap. Many of the office’s programs and services expand students’ cultural horizons while honoring their respective cultural experiences. The TRIO program, which helps students overcome cultural, class and social barriers to higher education success. Peer mentoring and advising in programs like Living and Learning Villages, which allow students with common interests, female STEM majors for example, to live together in residence halls and support each other all day, not just in the classroom or the library. 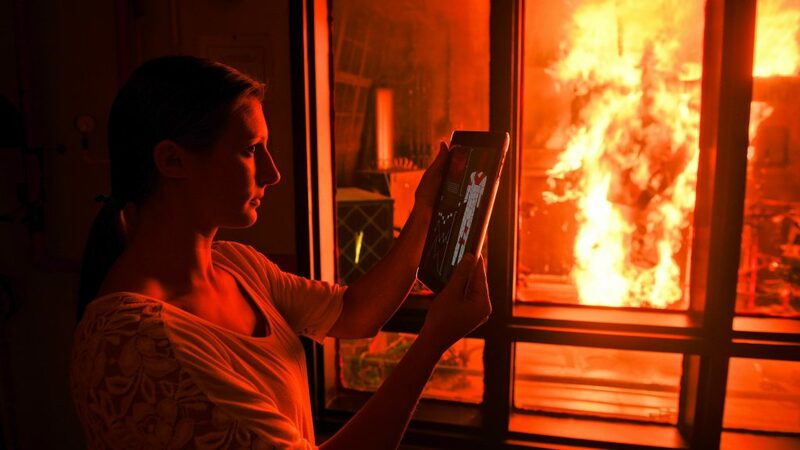 More efficient ways of teaching traditionally large lecture classes — such as the SCALE-UP initiative, which effectively flips the classroom to allow for less lecture and more group problem-solving. Inclusive orientation and welcome-week programs. More library study spaces, thanks to the addition of Hunt Library. Another key factor is providing the right amount of financial aid, Hunt and Arden say. “Financial hardship is one of the main reasons why students leave school,” Hunt said. “Appropriate funding of need-based financial aid has had a significant impact on closing this gap,” Arden said. Arden and Hunt say more work is needed to continue the progress made toward shrinking the completion gap. 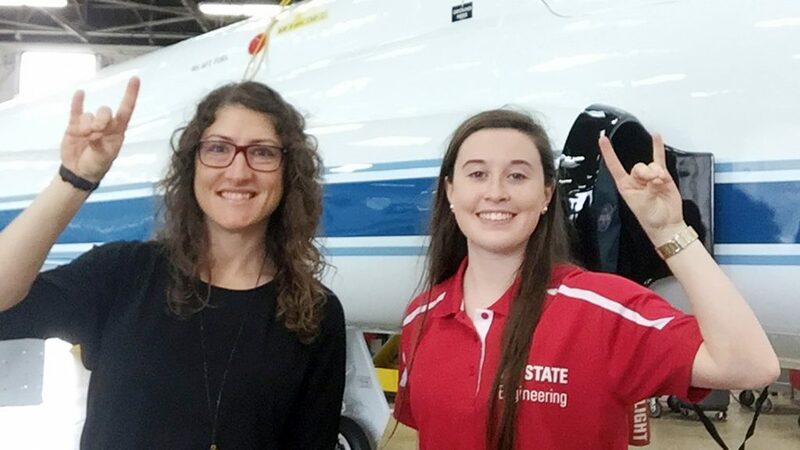 Editor’s note: This is one in a series of stories about NC State’s strategic attempts to help students achieve academic success by finishing their degrees in a timely manner. Read about the way NC State is helping doctoral students finish their dissertations. Thanks for your article. The Initiative for Maximizing Student Diversity (IMSD) Program that is funded by the National Institutes of Health has been in existence at NC State University since 2008. 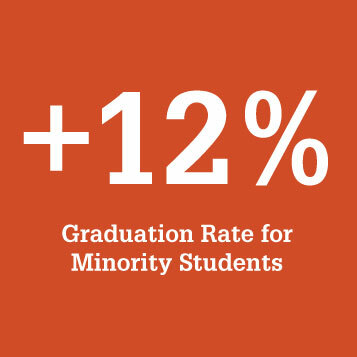 The success of this program has contributed significantly to the recruitment and graduation of underrepresented students at the University at both the graduate and undergraduate level. The graduation and retention rate of students in this program are higher than University’s rate. Lastly, this program has received over $5 million dollars to train students from diverse backgrounds to be competitive in the global workforce. Thanks for the article, lots of information to get. I congratulate NCSU for working hard on narrowing the completion gap. It is very important to understand that when we talk about minorities, we are not just talking about poor Black, Latino or Asian students; Many students are forced to endure the stigma attached to their condition (s) and they may be students with disabilities, first generation college students, international students, students that are religiously different from the mainstream, African and Africa-American, white or Asian students lesbian, gay and bisexual. All of these are minorities in our universities and colleges. to the professor whose personal beliefs and culture are biased towards those that think and look different to many other gatekeepers that are not making this college experience pleasant to the student. It should be and must be a common goal. If we really commit to closing the Gap, not just narrowing it, in the same way we have handled other urgent issues, we will be able to look back some years from now and have a sense of a bigger accomplishment. After all, we are in the same boat. ; statistics reveal that the fastest growing populations in U.S. schools are minority children and youth from Latino, Black, and Asian-American communities. Let’s give them tools that they need to succeed and let’s challenge them to work hard so they can unlock their hidden potential.